We all know about Italian cars and Italian driving! This is a country that loves a stylish car and the freedom that driving offers. And with public transport outside of the cities a little erratic, anyone buying a property in the Italian countryside will find a car essential. So this article explains how to bring your own car, how to buy one here, how to get insurance, change your licence, take a driving test, and anything else you could possibly need to know. 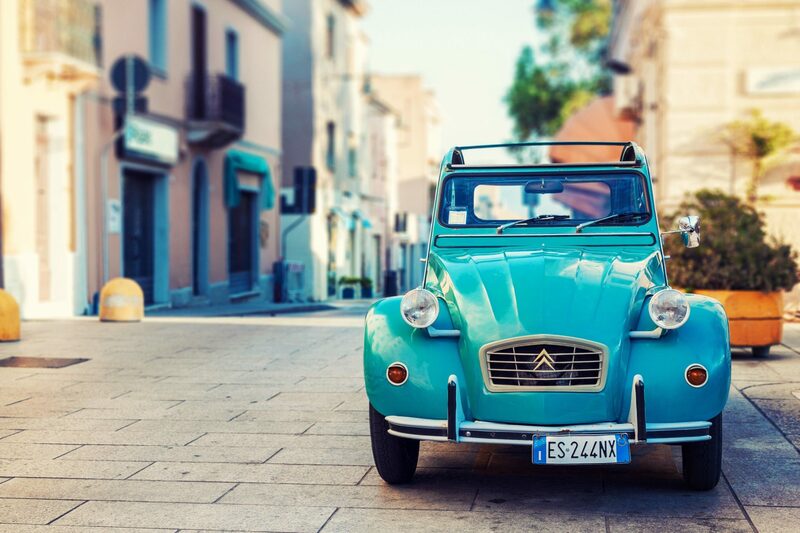 What are the general practices when you own a car in Italy? In order to buy a car in Italy you first need to be an Italian resident, so many people initially choose to drive their own car down from the UK. This way they save money on hire cars and can also load the car up with personal belongings, pets and tea bags. Once they have applied for their Italian residency, they buy an Italian car. They then drive their old car back to the UK to be sold. The road routes down through France and Switzerland are pleasant and fast and Italian regions have good road links. 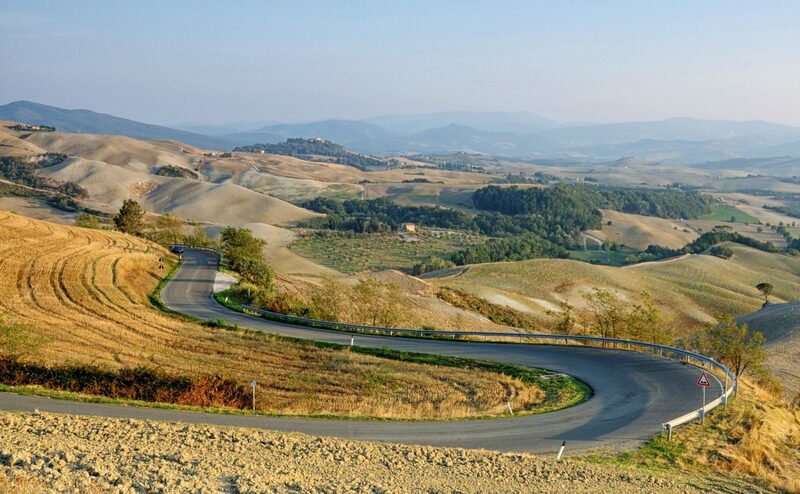 For example, the drive time from London to Florence is only around 16 hours. In order to buy a car in Italy you first need to be an Italian resident, so many people initially choose to drive their own car down from the UK. What’s best for second-home owners? House buyers who only intend using their Italian home for holidays have the same two options. You can either hire a car from the airport or drive down and back each time they visit. When browsing through expat forums in Italy, you will discover many people who leave their car at their Italian property, when they aren’t there, and only drive it back to the UK once a year for its MOT. Officially, the car is only allowed to be in the country for up to 6 months, so they do run the risk of that if they have a run in with the police. You will also hear of people getting family or friends in Italy to buy a car in their name. When you take into consideration that car insurance alone could cost a minimum of €800 a year, for short holidays trips the hire car costs compare rather well. If you left a car at your house you would still need transport to and from the airport in any case. According to the UK Government, you can take your car abroad for up to 12 months. However, in Italy you are only allowed to import the vehicle for up to six months in any period of 12 months. Therefore, if you plan to keep your UK car in Italy for longer than six months, it must be registered in Italy. The laws of Italy trump any other rules in the UK. Fill in the V5C/4 ‘notification of permanent export’ section of your V5C registration certificate (log book). Send it to DVLA, Swansea, SA99 1BD. Include a letter if you’ve moved abroad and want your vehicle tax refund sent to your new address. You’ll usually get a refund on your vehicle tax in 4 to 6 weeks. A cancellation certificate and technical specifications form for the vehicle will be issued. Keep these safe as you will need them to register your vehicle in Italy. The car may then be driven to Italy on a provisional number plate issued by the traffic control authority. If you want to keep your car in Italy, you must register it. You do this with the local Motorizzazione Civile office within six months of its arrival in the country, as well as the Public Vehicle Registry (Pubblico Registro Automobilistico, or PRA). 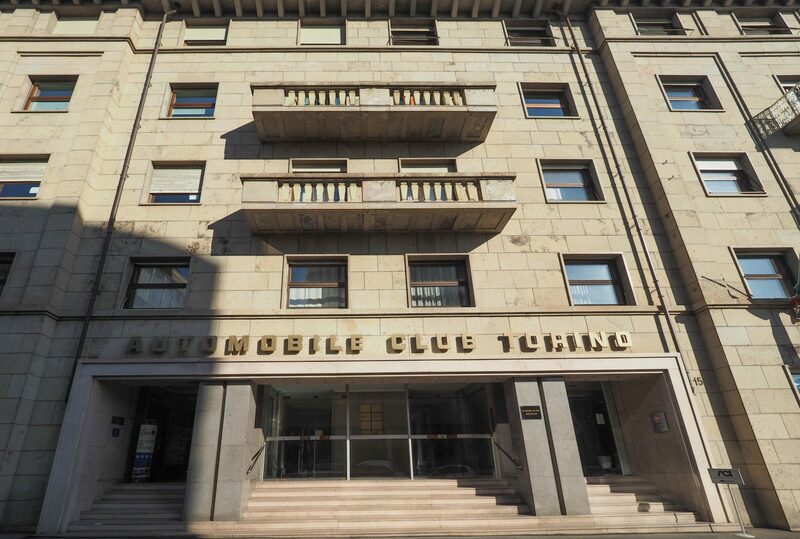 The PRA is operated by the Italian Automobile Club (Automobile Club d’Italia, ACI), which has Public Support Offices in most major towns and cities. This is the best place to go to get advice and help with filling in the application forms. Look for the desk called Sportello Telematico STA. Here they can organise everything from licence plates to the registration certificate. You can find your nearest ACI office the official list. Want to register your car in Italy if it’s imported and used? It must first pass a road worthiness test, like a MOT, to ensure it conforms to Italian technical norms. On passing this the vehicle will receive a certificate of conformity. All used cars in Italy must take a test (revisione) every two years. You will also need a technical specifications form, signed and stamped by the manufacturer or a reputable dealer (in Italian). Be aware that, in Italy, the engine power is measured in kilowatts, not horse power. Car ownership documents and your UK registration cancellation certificate are also necessary. Usually, they will ask that your signature be verified with a certified signature from a notary, municipality or delegated employee of the Electronic Motorist Helpdesk (STA). Try the STA first, as a notary will charge you handsomely. Make sure to bring translations of your documents when you register your car in Italy. Only foreign nationals with official residency in Italy can register their car. You will need to produce your residency permit (carta d’identita) and tax code (codice fiscale). However, if your residency application is still going through, citizens of the European Union (EU) can also submit a photocopy of a certificate issued by the municipality, proving that they have applied for residency. Finally, take a photocopy of your identity document, such as your passport. It is worth taking photocopies of everything requested and keeping copies for yourself as well. The STA of the ACI Provincial Offices and Provincial Offices of Civil Motorization (UMC) distributes application forms free of charge. A printable version can also be found on the Automobile club d’Italia’s website. 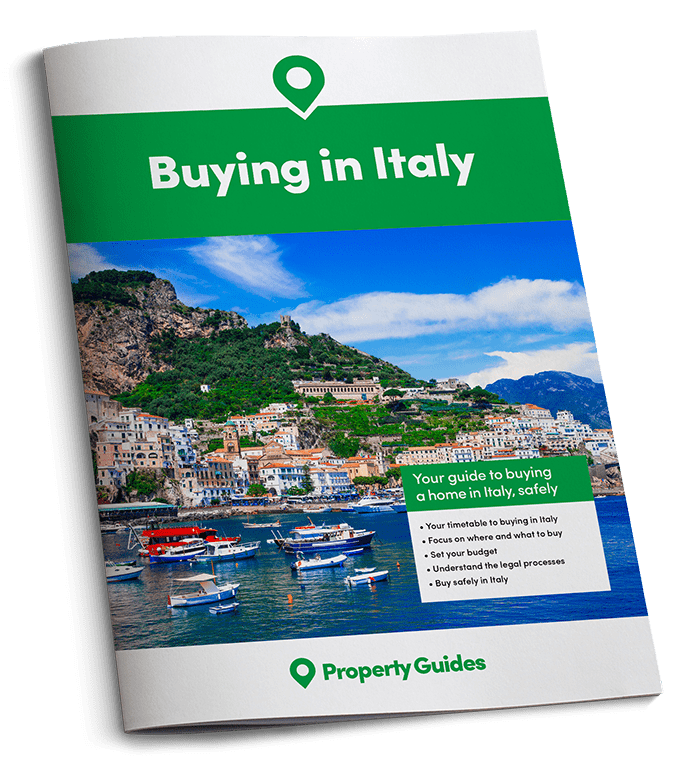 If you’re thinking of buying in Italy in the next six months, register for the next Your Overseas Home event – a free boutique event tailored for serious property buyers where you can speak to solicitors, estate agents and currency specialists. The cost to register your car in Italy depends on the province and vehicle. But, expect to pay a few hundred euros. There is also a fee for issuing a number plate. The cost of registering the change of ownership will be about the same as to register your UK car in Italy. Depending on the car it could range from €300 to over €1,000. As well as the requirement to register your car in Italy, you’ll need to pay road tax (bollo). This is an annual tax and you can pay at your local ACI, banks, post offices and some tobacconists (tabaccheria). You will need to take the logbook (libretto) (logbook) and the usual ID card and ‘codice fiscale’. Make sure you keep the receipt somewhere in your car in case the police stops you. In Italy, it is a legal requirement for all cars more than four years old cars to have a ‘revisione’ (the equivalent of an MOT in the UK) every two years. You will need to find your local Centro Revisioni Auto. Once you have the ‘Revisione‘ it is entered into the libretto. It is about €70. If stopped by the police and found to be out of date, you will incur a fine and points on your licence. Car insurance in Italy is still very expensive and notoriously slow to pay out. It’s therefore worth spending some time and effort getting the right coverage and price for you. All vehicles in Italy must have 3rd-party liability insurance (responsabilità civile). The legal minimum is pretty low cover, but you can add on extras like fire and theft (incendio, furto), cover for the driver in the case of an accident where the driver is responsible (infortuni dei conducente) and road side assistance (servizio assistenza). Comprehensive insurance (casco) is very expensive in Italy and for that reason local Italians rarely buy it. Some companies are not even willing to insure cars more than four years old on this type of insurance. Another reason Italian insurance can work out expensive is that they don’t recognise any no-claims bonus accrued in the UK. You’ll be starting from scratch. Most expats start their search for car insurance online, looking at company names they recognise. However, big names also tend to have big prices. You may find it better to walk into the office of a local insurance agent, who is able to show you comparison prices from various Insurers. When driving your car through Europe from the UK, you will experience the French ‘péage’ system of motorways and motorway tolls.Then, as you continue south, you’ll encounter the Italian motorway network called autostrade. This is also in the main, subject to tolls. To calculate the amount due for payment, they multiply the unit rate (based on the size of vehicle) by the number of kilometres travelled. Then, they add 22% VAT. It roughly works out at about €1 for every 7km. For example, the 3-hour trip from Florence to Rome, 249 kms of which is on the motorway, costs around €18.40 in tolls. A 200km journey on the A1 from Rome to Naples costs about €15.80. Route planners will also give you the toll free next quickest route, but the journey will be longer and your fuel costs will also increase. In 2003, Italy introduced a points-based penalty system. Each driver starts with 20 points and with each offence the driver loses points. Drivers who lose all 20 points must retake the driving test. The legal blood alcohol concentration (BAC) limit for drivers in Italy is less than .05%, (i.e. 50 mg/100 ml of blood). Italian police may carry out random alcohol tests on drivers at any time – with severe penalties for those failing a test. Cash fines can be levied for any traffic offences and you can pay directly to the police officer or at the nearest police station (ufficio di polizia), within 60 days. According to the UK Government website you need to convert your UK licence to an Italian one within 2 years. However, Europa.eu and the Italian Ministry for Transport state that as an EU member your driving licence is valid in Italy and you don’t need to change it for an Italian one until the date expires on it. Like the UK driving licence, Italian licences are valid for 10 years. However, drivers between 50 and 70 must have a medical certificate every 5 years. For those 70-80, it’s every 3 years. At over 80, it’s every 2 years. As the UK is currently a member of the EU, you don’t have to take an Italian theory or driving test to transfer your licence to an Italian one. The Ministry of Infrastructure and Transport lists the countries from whom Italy will allow driving licences to be exchanged for an Italian one. You’ll notice that as well as EU countries, Italy also have reciprocal arrangements with many non-EU countries such as Japan and the Philippines. It’s therefore hopeful the UK should be able to make a similar agreement after Brexit. Future arrangements for UK citizens resident in Italy after Brexit are still in negotiation. So, if it makes you feel more comfortable, you may want to apply to transfer your licence before then. Update: I have now transferred my licence, as did my husband, each through a different method – have a read of our experiences of how it went. As an EU national living in Italy, if you want to renew a driving licence issued in another EU country, you can do so at an agency of the Ministry of Transport Uffici della Motorizzazione Civile. The relevant authorities will cancel your UK licence and issue you with a new Italian one. Medical certificate, with revenue stamp and photograph, issued by an authorized doctor, and photocopy. The medical basically involves an eye test and some short questions. 2 photographs, one of which you must have authenticated. It all sounds simple enough, but this is Italy and you may find your local office isn’t up-to-date on procedures. Therefore, allow about 4 months. Also note that costs, payment methods and requirements can change and may be different in Sicily, Valle d’Aosta and the provinces of Trentino-Alto Adige and Friuli-Venezia Giulia. Always check with your local office. Foreign licences issued by non-EU countries need to be accompanied by a translation with a revenue stamp. The translation must be certified by the diplomatic representative of the country having issued the driving licence as being a true and faithful rendition of the original document. What are the types of Italian driving licence? Car drivers in Italy must be at least 18 years of age. The minimum age to drive a motorbike 50cc to 125cc is 16 years and a 14-year-old can drive a moped up to 50cc. There are various categories of driving licence (patenti di guida) for different vehicle types in Italy, which follow the standard categories of the EU. The most common include AM, A1 and A2 for mopeds and motorcycles, and B for cars. When issued, a Patente B has 20 points and, when infractions occur, the authorities will deduct points. In order to obtain the Patente B, a person must be at least 18 years old and be in suitable physical condition. A medical certificate is necessary for eyesight, mental health and physical condition. Pass a theory test: This is multiple choice and only in Italian. You can find books on Italian Amazon that can help you revise for this test with an English translation, such as L’esame per la patente di guida per cittadini stranieri by Luciano and Stefano Bottoli. You can do practice tests using the I quiz dell’esame per la patente di guida. Only after you have passed the theory test can you obtain a learner’s permit (foglio rosa). You can apply at the nearest Provincial Office of Motor Vehicles (Ufficio Motorizzazione Civile). Then, you have five months to practice driving and pass your practical driving test. There are so many wonderful places to visit in Italy, but you really do need a car to explore them all. You don’t want anything big and fancy, just a small run around that is easy to manoeuvre around ancient village streets and will squeeze into the tiniest parking spots.